There are 7 hexagonal tiles all printed with the numbers 1-6. You must place the tiles within the playing area with the numbers all matching! 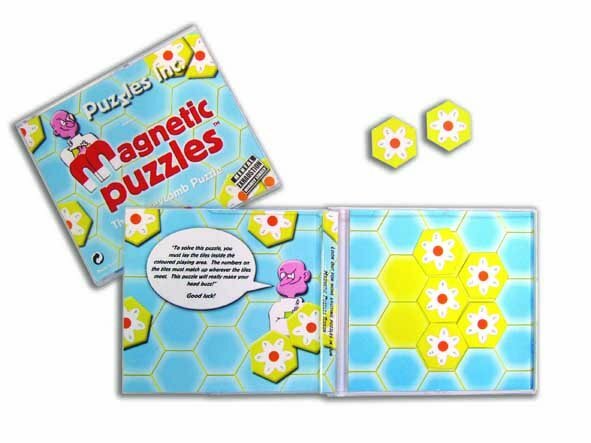 This clever CD case puzzle make a perfect travel puzzle.